RuneQuest - Gamemaster Screen Pack - PDF - Chaosium Inc.
Click the button below to add the RuneQuest - Gamemaster Screen Pack - PDF to your wish list. Guide your players into a World of Adventure! The RuneQuest Gamemaster Screen Pack is an essential play aid for RuneQuest: Roleplaying in Glorantha gamemasters, packed with useful references and materials to launch any new campaign, or add to an existing one. The gamemaster screen itself is a landscape, full-color, four-panel cardboard screen, 34 inches wide and 8.5 inches tall, with a gorgeous illustration of the famed Gods Wall facing the players, and all manner of important references and summaries of key rules on the gamemaster’s side. Included with the screen is a full-color, 128-page Adventures Book. The first half of this book is a description of the Colymar tribal lands, led by Queen Leika Blackspear, detailing the fortress city of Clearwine and its important denizens. Nearby is Apple Lane, a small village beset with huge problems. Its residents and surroundings are described in detail, making it a perfect location for gamemasters to base RuneQuest campaigns in, establishing the adventurers in a renowned yet manageable hamlet with ample opportunity for great adventure. 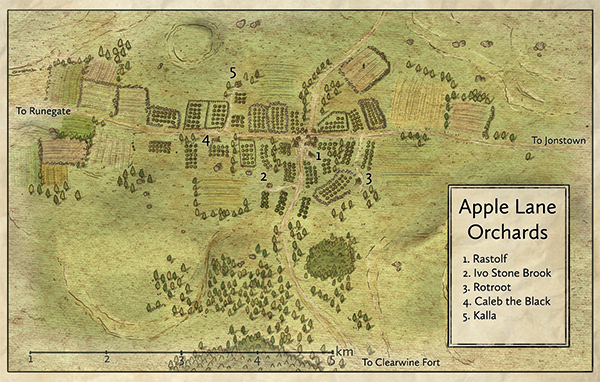 The latter half of the Adventures Book includes three ready-to-play scenarios set in Apple Lane and lands nearby. The first adventure, Defending Apple Lane, pits the adventurers against a savage band of fearsome raiders. Cattle Raid, the second adventure, sends the adventurers to protect a sacred herd of cattle, a seemingly simple task that grows all-too-complex when tribal politics come into play. The last of these adventures, The Dragon of the Thunder Hills, involves dragon magic and old ghosts. Finally, a four-page group of rumors gives ample grist for potential adventure inspiration, and two pages of adventure seeds are ready to be fleshed out into full adventures or run as interesting interludes. Additional materials include a 20-page reference booklet full of charts and references for ease of play, a 16-page full-color Gloranthan calendar, seven ready-to-play pregenerated adventurer characters, regular and deluxe adventurer sheets, squad and a non-player character sheets, as well as full-color fold-out maps of Apple Lane, Clearwine, Dragon Pass, and the world of Glorantha itself. "Congratulations: you have reached the pinnacle of what a gamemaster pack should include, screen included… If you play Call of Cthulhu and you are already using the Call of Cthulhu Keeper Screen Pack, you know what kind of screen supplements Chaosium is capable of producing. Now take that concept to eleven. "—Antonios S. review, RPGNet. "If I have a chief complaint with the new RuneQuest GameMaster Screen Pack, it's that it is a very badly named product. Yes, there is a gorgeous gamemaster screen in there, 20 pages of handy reference sheets, sumptuous character sheets, tons of maps, and even a calendar... but what the team have really given us here is a living, breathing culture. The component they humbly refer to as a "booklet" is in fact a 128-page book detailing the lands and peoples of the Colymar tribe. It easily could have been sold separately from the "Screen Pack," but Chaosium has never been big on half measures. "—Andrew Logan Montgomery, Exploring the Otherworlds of Fiction, Magic, and Gaming. 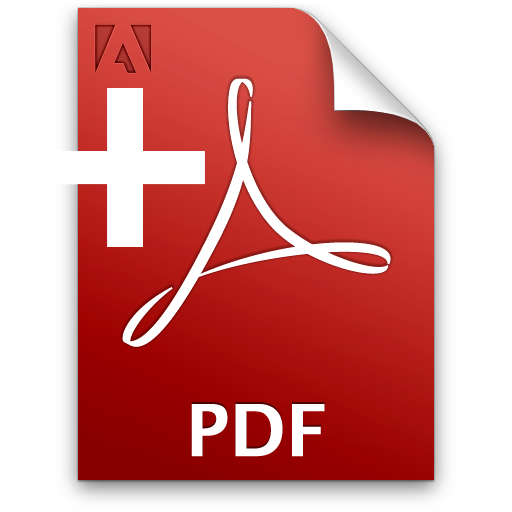 Buy this PDF now and get a coupon for the printed version later! So you want to purchase the hardcover version, but really want to get your hands on RuneQuest - Gamemaster Screen Pack - PDF so you don't have to wait. We have you covered! When you buy RuneQuest - Gamemaster Screen Pack - PDF now, we will send you a discount coupon just before the physical book goes on sale that will offset the PDF purchase price once the hardcover version is available. You will also be able to apply any coupon to the full slipcase set that also includes the RuneQuest - Glorantha Bestiary and the RuneQuest - Roleplaying in Glorantha core rulebook. Start your campaign in style! The Adventure Book (and related maps of Apple Lane, Clearwine Fort, Colymar Tribal lands and Dragon Pass, all of exceptional quality) are just what you need to start a RuneQuest campaign, with full stats for tribal leaders and warriors, a grab-bag of wilderness encounters in and around Colymar Lands, and three fully fleshed-out scenarios. (The beautiful map of South Peloria was an unexpected bonus). This is just like a mini version of Griffin Mountain, only set in Sartar: right down to the Rumours table. The GM reference sheets (18 pages) include what looks like all the key tables from "RuneQuest: Roleplaying in Glorantha," and somehow the most important ones have been shoehorned onto the back of the GM Screen as well. 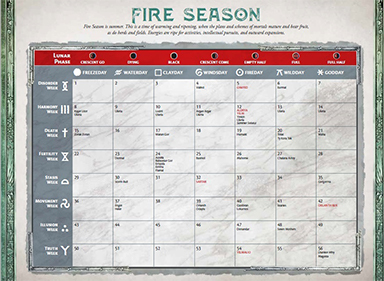 Finally, the character sheets (inc. basic, lavishly-illustrated "Artisan," and new NPC & Squad versions) and the Gloranthan Calendar are beautifully done, with thoughtful touches like a one-page printable calendar to use if your own campaign keeps track of time. This pack was made by people who know just what a starting Game Master needs, and it will work a treat. Highly recommended, and incredible value.